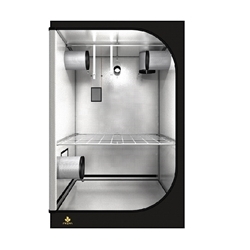 Budbox Pro Small is the perfect smaller text ideal for small plants at only 1m in height. Easy to assemble and discreet. Secret Jardin DS60 Tent is a silver lined, durable small affordable tent. 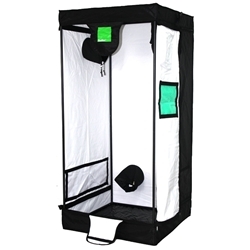 This tent is ideal for smaller grows, including CFL lighting. Secret Jardin Dark Street (DS90) measures 90x90x170cm. The silver mylar lined interior is highly reflective and 100% Lightproof and durable for long lasting set-ups. 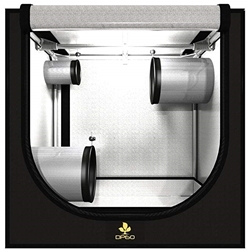 The Secret jardin tent comes with: 30x20cm mesh window 2x ventillation outlet holes (1 top of tent, 1 bottom) each measuring 150mm in size 1x Cable outlet hole measuring 75mm in size Hanging poles and straps weight 7.5kg This tent is reliable, strong and designed for indoor growing. Secret Jardin tents are suitable for hydroponic equipment. Secret Jardin Tent DS90 is a highly reflective mylar silver lined tent measured at 90x90x170cm. 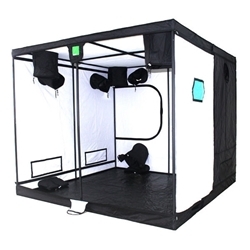 The Budbox Titan 3 is a huge tent, designed to be used with 6 lights. 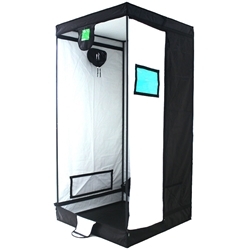 This Budbox tent is suitable for keeping mother plants or for using as a propagation/clone tent. 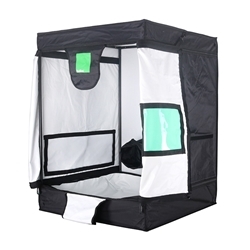 The large Budbox tent is suitable for use with most small systems and HPS lights up to 400w. Slightly larger than the Titan 1, the Budbox Titan + is designed for use with 6 lights. Designed for use with 6 lights, the Titan 2 Budbox has space for pretty much any system or combination of systems you can imagine. 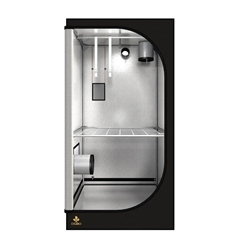 Designed for use with 4 lights, the Titan Budbox will house most large hydroponic systems. We offer a wide range of different tents, available in many sizes ideal for those choosing indoor growing. Growing tents provide the appropriate space and essentials needed to make your growing experience as easy as possible. 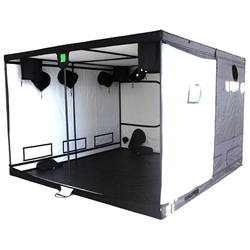 Tents are equipped with extra features such as bars to support your lighting/ filters/ fans and additional holes you can use for ducting, cables, and extraction. All tents are easy to assemble and are made with high quality material with highly reflective interior for intensive growing. We stock top quality brands such as Secret Jardin and Budbox, both of these are proven to be very popular and cost effective. In addition to this we stock all accessories you may need to complete your grow space. If there is anything you cannot find please ask a member of our team!